Naming your form will help keep track of your different campaigns within Wishpond. The name you give to each of your campaigns will never appear on any of your emails or will not be visible to the viewers of your campaigns. Name you campaigns in a way that is easy for you to recall what each campaign is about when referring back to them later. Where do you name your campaign? 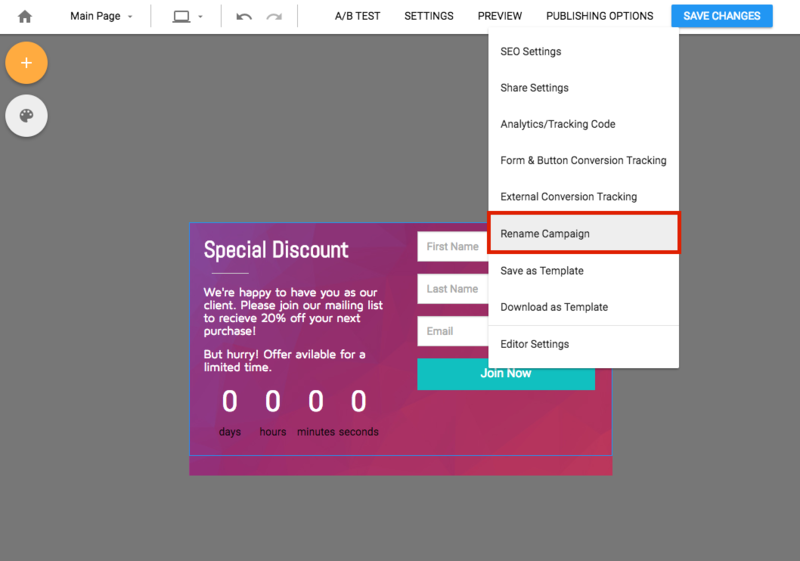 You can name your campaign by click "Settings" at the top of the editor. 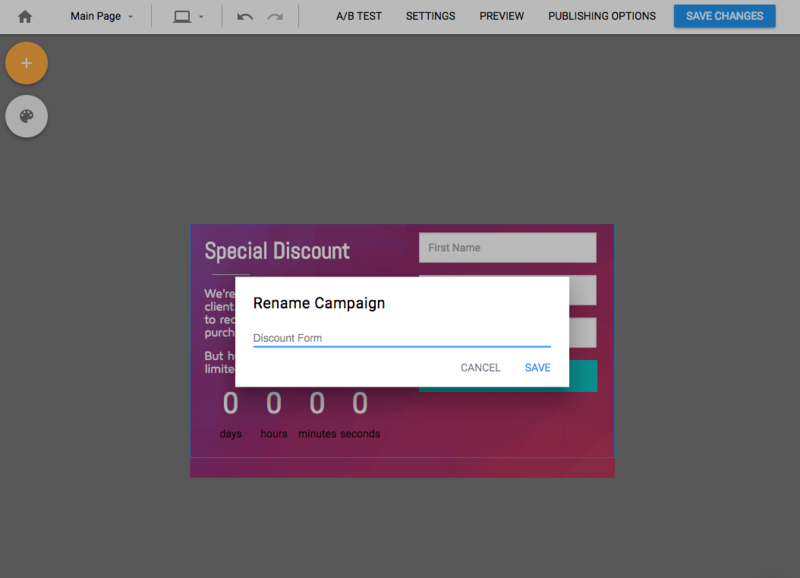 Then select "Rename Campaign". Then enter the name for your campaign and click "Save"